the Blue Knights® International Law Enforcement Motorcycle Club, Inc.
Darren Andersson President Les Wallace - - Past Pres. Interested in Joining Blue Knights? Click to view a Video. 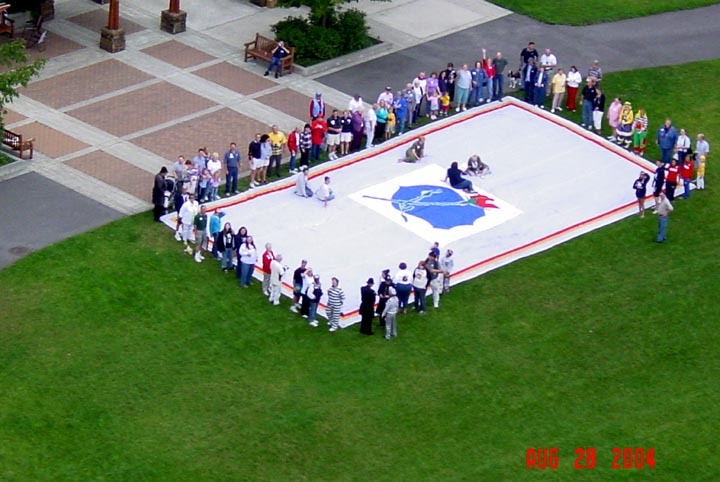 On Saturday August 28th 2004, WA I members Milt Wu and Dennis Tangborn joined members of Concerns of Police Survivors at their annual picnic in Seatac. We displayed the National Law Enforcement Police Memorial flag that was on hand at this year's COPS RUN. Many survivors signed the flag, seen above, and a great photo was taken of the flag, surrounded by those in attendance, as the King County Police helicopter takes off. THIS SAME FLAG HAS BEEN CHOSEN TO BE THE FIRST ITEM INDUCTED INTO THE NATIONAL LAW ENFORCEMENT OFFICERS MEMORIAL MUSEUM IN WASHINGTON D.C. 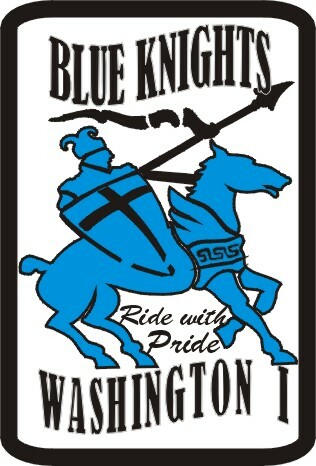 Here is a brief overview of WA I, our chapter of Blue Knights. Check out our ride schedule for year long activities. Other chapters in Washington and surrounding states/provinces have events that some of our members periodically go to as well. In fact, any member can attend any variety of Blue Knight functions around the country and beyond. There are chapters in Europe that have hosted US members and vice versa! We have members from many different agencies providing good opportunities to network, a great social atmosphere, and interesting events. We have big rides in the Spring and Fall. Everyone who goes report that they have a great time. An annual Memorial Day Week-end ride to Boise has turned into a popular “non-event” called the “Spud Run”. We are met by Blue Knight members from BC, Alberta, ID, OR, CA, WY, CO, and beyond. 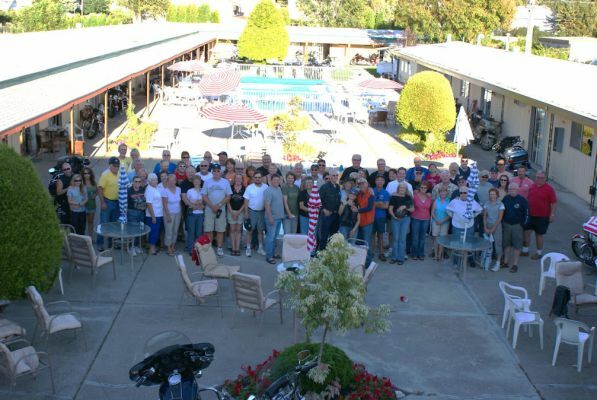 We do a day ride, games for the kids (of all ages), a barbeque dinner, and a breakfast the next morning. The WCC (West Coast Conference) and the International Conference are annual “big” events that are attended by members from all over the states and Canada; and some from Europe even. We end the year with a Christmas Banquet. It gives us a chance to dress up and take the wives or significant others out. It’s a great time! Our meetings are held every other month, usually on Saturdays. Contact us for specific times and places.